This is a great recipe from the great Mr Gordon Ramsay - I saw him make this as a lunch on his recent daytime show where he cooked with his kids, and really fancied giving it a go. 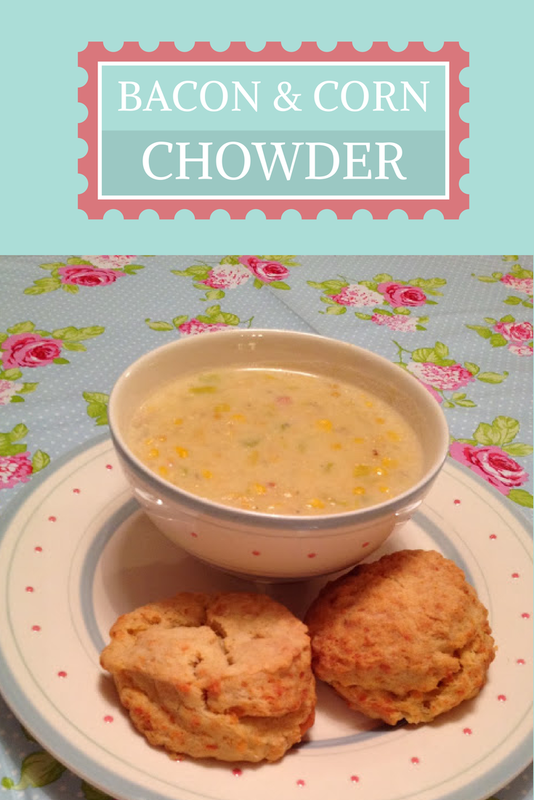 I don't usually think of soup as a "dinner" meal, and would rather have something a bit more substantial - but this chowder and biscuit combo looked filling and delicious, and I wasn't disappointed. 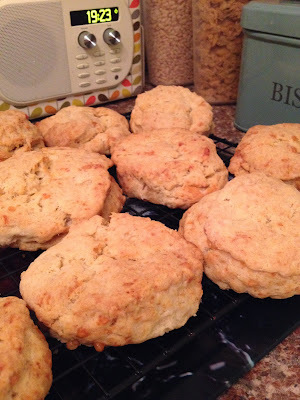 In fact, I would even go as far to say that these American-Style 'biscuits' (think pimped up cheese scones!) are the best things I've EVER baked taste-wise. Preheat the oven to 160ºC/gas mark 3. Line one or more baking sheets with baking parchment. 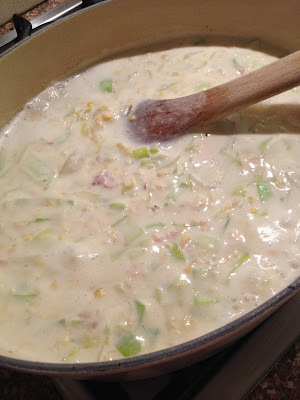 Sift the flour and baking powder into a large bowl, add the salt and a good grinding of pepper, then stir in the cheese. Make a well in the middle, pour in the cream and stir gently with a wooden spoon, mixing until a dough forms. 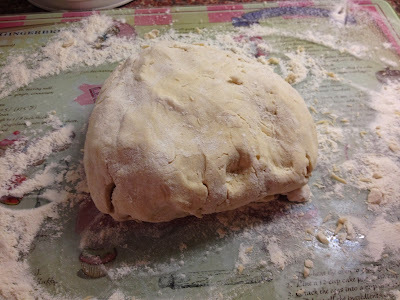 Turn the dough on to a lightly floured work surface and knead gently for a few seconds. Don’t overwork it or the dough will not rise. With a lightly floured rolling pin and work surface, roll out the dough to a thickness of 2cm. 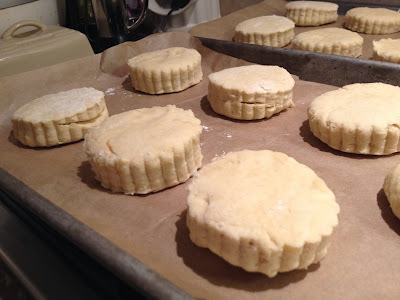 Using a 6cm cutter, stamp out 12 circles, dipping the cutter in flour between each cut so that the dough is easier to remove. Place the circles on the prepared baking sheet(s), spacing them at least 2cm apart as they will spread during cooking. Set aside to rest on the tray for 10 minutes before baking. 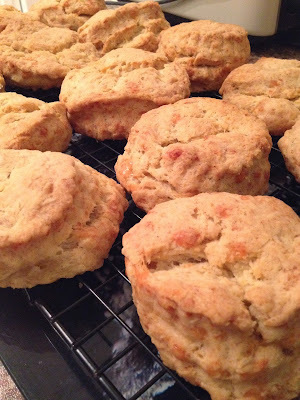 Brush the top of the biscuits with melted butter and bake for about 30 minutes, until golden brown and well risen. Transfer to a wire rack and serve warm or cold. 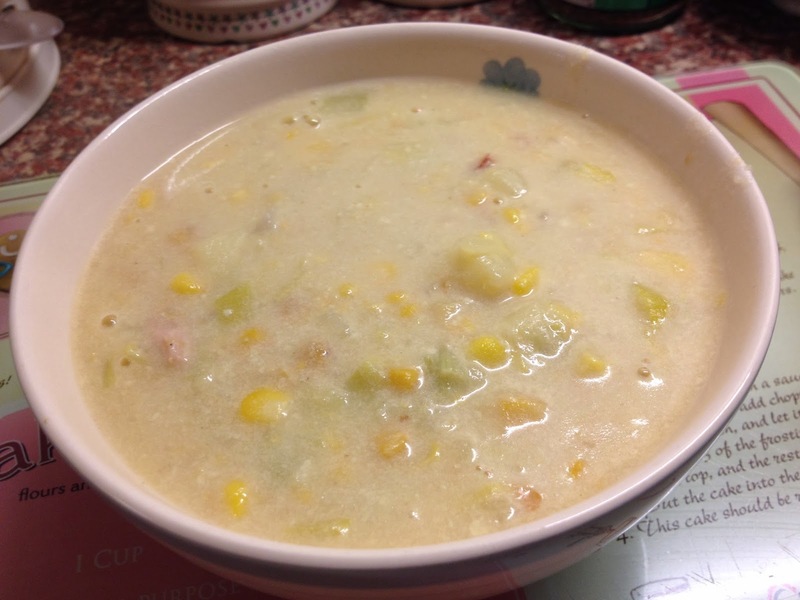 Stir in the creamed corn and sweetcorn, then pour in the stock and milk. 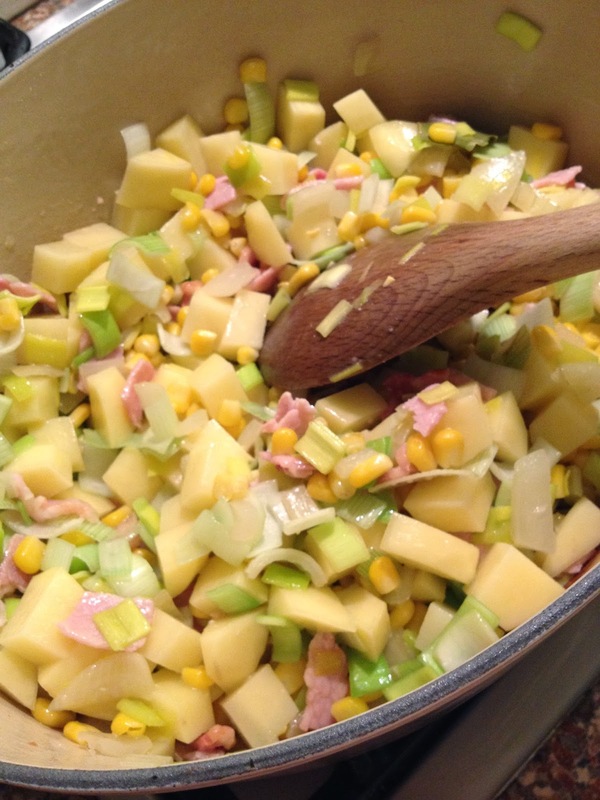 Bring to a gentle simmer and cook for 15 minutes, or until the potatoes are completely soft and the flavour well developed. Taste and adjust the seasoning as necessary. Serve in warm bowls. the finished dinner - sooooo scrummy! It is however WELL WORTH the calories, and obviously can be lightened with less soup, only one biscuit etc!